If your holiday season was anything like mine, it was busy. I hosted Christmas, had my beautiful family stay, friends dropping by and enjoyed lots of spontaneous events. But, now things have quietened down and work is back in full swing, I’ve started wondering how I’m going to maintain enough momentum to achieve my new year’s resolution – ‘Be Bold and Shine’. If there was ever a year to be bold and feel optimistic about achieving a new goal – 2017 is it! It’s a #1 year, which means we all need to feel primed to embrace the new beginnings coming our way. It’s a great time to start greeting each new day, and every new week, as a fresh start filled with potential to help us create the life we want. Now, you might be wondering how I’m going to Be Bold and Shine this year. I’ve decided that in 2017 I’m going to accomplish my goal of a business promotion – it’s a bold goal that requires bold action. 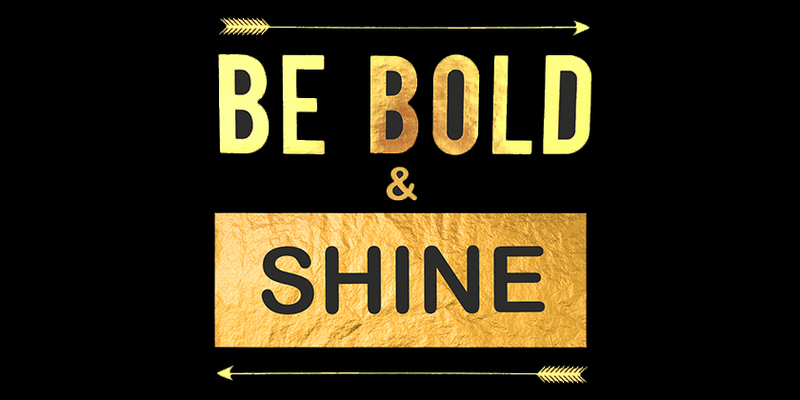 My motto for this year – Be Bold and Shine – is on my vision board and iPhone, and seeing it helps me feel good and gives me momentum in times when I’m about to step out of my comfort zone. Now I know the year won’t be all flowers and chocolates. It’s inevitable we’ll all have to do things that take us out of our comfort zone. For me, the thought of making phone calls brings up resistance. I’m such a spontaneous person who loves to do things that make me feel good, that my rebellious inner-child sometimes makes it hard for me to do these uncreative things. But, I’ve learned that if we stay stuck and focused on the negative, such as ‘I hate making calls; What’s the point of making calls, no one ever answers; No one appreciates me, it’s a waste of time’, that we can allow ourselves to be distracted. We’ll seek a snack or make a coffee, all so we can avoid feeling out of our comfort zone. However, doing this only keeps us stuck where we are and holds us back from achieving our goal (and it’s the total opposite to being bold). So, how do we feel good in these moments when it all seems too hard (or when a coffee/tea is more appealing)? For starters, it’s important to remember your WHY. Here’s mine: I love inspiring others to look & feel good, and I really want that empowering feeling of accomplishment knowing that ‘I did it!’. I truly want others to know that ‘If I can do it, You can do it’. 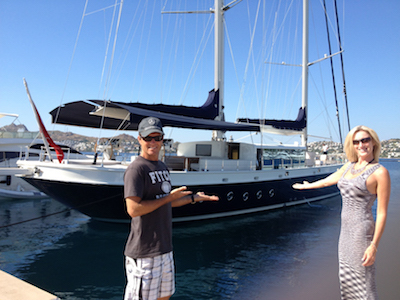 My personal WHY is related to my Hubby’s and my goal of owning a beautiful boat (similar to the one below) and sailing the Mediterranean with friends. I know that achieving this is going to feel SO GOOD!! Next, I find it helpful to take a breath and ask ‘Is this moving me further away, or closer to, my goal?’ In that space I’m able to focus on feeling good about the journey by being general. For example, when making phone calls I’ll say to myself ‘I know I don’t feel like making these calls, yet I love talking with and helping people. I love connecting with others and adding inspiration and joy to their day. Every little step forward leads me closer to my goal of sailing the Mediterranean. I feel good when I have completed the task, and I’m lucky I get to work form home.’ It’s when you find this positive feeling that you’re able to produce enough energy to boldly move forward and build momentum. 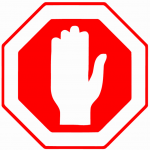 Here’s 3 simple things I put in my toolbox to help me feel bold and build momentum. 1. Choose a goal for this year, laser focus on it this month and every morning… Imagine what it feels like to achieve this? Who else is with you? Make your Why juicy! Stay tuned for more tips on how to be bold and create the life you love, or get inspiration delivered directly to your inbox.